When we think of how to cook pumpkin, the first thing that comes to my mind is a delicious pumpkin pie recipe. To most children it is the vision of carving a great Halloween Jack-o-Lantern. There are, however, many other ways to use this delectable squash. The pumpkin (or large melon) is part of the winter squash family and is one of the most popular crops grown in the United States. The appearance of this vegetable was not our typical round orange variety but more of a crooked neck variety. The origination of the pumpkin was right here in the very early Americas where they Native Americans taught our early settlers how to utilize it. 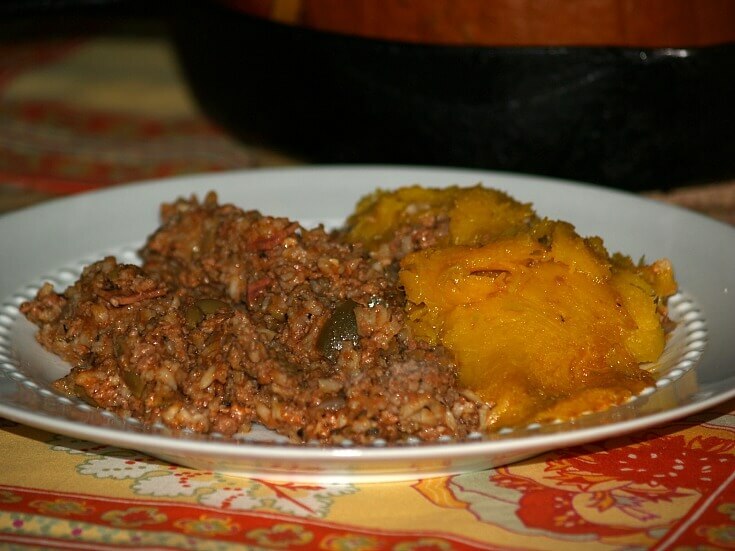 When learning how to cook pumpkin, most parts of the pumpkin are edible and can be prepared in some type of recipe; this includes even the shell when young and tender. The pumpkin seeds which many people throw away are wonderful when roasted and make a delicious snack. Even the leaves and flowers are edible. So learn how to cook pumpkin using every part. When learning how to cook pumpkin, you must know that they are not all the same. Many of the large beautiful pumpkins grown for jack o lanterns do not have the same good flavor as cooking pumpkins. Sugar pumpkins make great pumpkin pies and other desserts. They are smaller and sweeter. The Nestle Company processes all most all of the canned pumpkin here in the US from sugar pumpkins grown in Illinois according to the Illinois Department of Agriculture. NOTE: The pumpkin belongs to the winter type of pumpkin making it very long lasting for storage. I know people who successfully store them sometimes for almost one year. 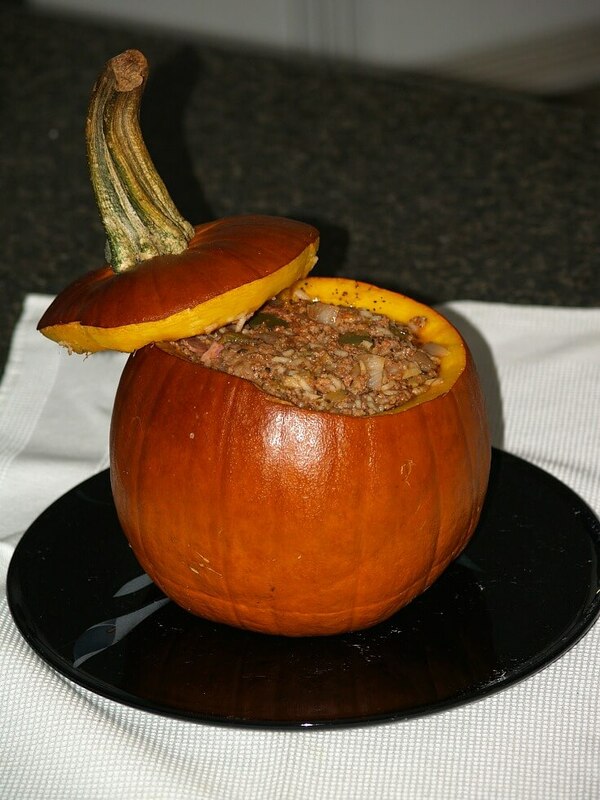 Learn how to cook pumpkin for a delicious meal with a great presentation. Cut lid off top of pumpkin; scoop out seeds and set aside. Combine remaining ingredients in a large skillet. Cook and stir mixture over medium heat until meat is cooked. Scoop mixture inside prepared pumpkin; replace lid on top. Place filled pumpkin on baking sheet; bake 1 hour. SERVE meal from pumpkin scooping some of the pumpkin with the meat mixture. In a large bowl mix together flour, brown sugar, cornmeal and pumpkin spice. In a small bowl mix together the buttermilk, pumpkin, butter and egg. Add pumpkin mixture to the flour mixture; stir just until combined. NOTE: Mixture should be slightly lumpy. Spray griddle with non stick spray; heat to medium. Spoon 1/3 cup of batter for each pancake spacing 1 inch apart. Cook about 3 minutes until surface begins to bubble; turn over and cook until done. Serve with syrup; serves 4. Put all ingredients in a large mixing bowl and blend until smooth. Pour mixture into 6 buttered custard cups and sprinkle with nutmeg. Place cups in a baking pan and pour a little hot water around them.Bake in the oven for 35 to 40 minutes until pudding is firm and a knife inserted comes out clean. Cool and then refrigerate to chill. Combine oats, flour, and baking powder, salt and mix together. Combine the pumpkin, egg, butter, and vanilla. Add the dry ingredients to the pumpkin mixture and mix well. Stir in the raisins and peanuts and spread evenly in the prepared pan. Bake for 35 to 40 minutes, until lightly brown. 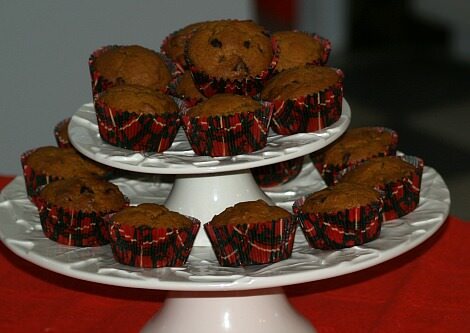 You will be glad you learned how to cook pumpkin with this delicious chocolate chip muffins recipe. Chocolate and pumpkin; a great combination! Spread sliced almonds on baking sheet and bake for 5 minutes until toasted; set aside to cool. Combine in large bowl the flour, sugar, pie spice, baking soda, baking powder and salt; mix. 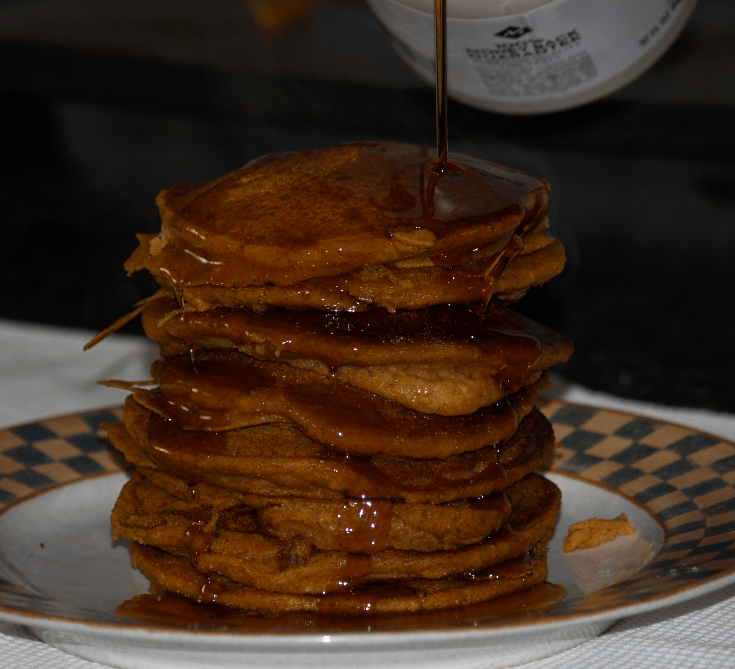 In another bowl combine eggs, pumpkin and butter; mix until blended. Stir in chocolate chips and almonds; pour mixture over dry ingredients. Blend with spatula just until dry ingredients are moistened. Spoon batter into greased muffin tins; bake for 20 to 25 minutes or until springy to touch. Cool on rack. Makes 19 to 20 regular size muffins.